Followers of local cricket are shaking their heads in disbelief once again, as the local ruling body, the Guyana Cricket Board (GCB), has conjured yet another Machiavellian manoeuvre. This time around, it’s the appointment of the Cricket Ombudsman. In January, 2015 the previous government announced the appointment of Dr Winston McGowan, a Guyanese historian, as Guyana’s first Cricket Ombudsman. At the press conference, it was declared that the post was new to Guyana and it was a feature of the Guyana Cricket Administration Act (GCAA) which had been passed in Parliament on May 15, 2014. “Among his responsibilities as the Cricket Ombudsman, Dr McGowan is responsible for those elections at the, or of the recognized cricketing organizations in Guyana of their officials. Essentially, from henceforth, and in accordance with the Cricket Administration Law, the elections of officers of these recognized cricketing organizations would be conducted by a Cricket Ombudsman,” Head of the Presidential Secretariat, Dr Roger Luncheon, was quoted as saying at the time. The newly appointed Cricket Ombudsman was tasked with the responsibility of verifying the clubs which came under the aegis of the various county boards, namely Berbice, Demerara and Essequibo, which comprise the Guyana Cricket Board. 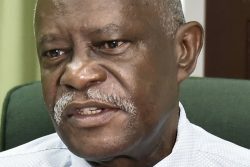 The matter was subsequently thrown out by the then Acting Chief Justice Ian Chang after Dr Anthony , in court arguments, had stated that he had contacted the WICB on three occasions and never received an answer from the regional body. Justice Chang, in his ruling, said that three times was enough and ruled that the Cricket Ombudsman had been properly appointed. The injunction was subsequently discharged on June 16, 2017, paving the way for the long-awaited elections of the GCB. Of course, the GCB appealed the decision. “I will certainly act within the powers granted to me as the Minister with responsibility for Sport to ensure that due process takes places and since there is no current impediment to holding of those elections, I will certainly provide the necessary permission so that process can take place,” the Minister was quoted as saying at the press conference. According to the GCAA, the Ombudsman and the Minister responsible for Sport are the officials authorized to set the date for elections. Following the Minister’s announcement a leading official from the GCB promised to work with both parties to have the matter resolved, but reaffirmed their position that the GCAA was flawed since they had not been consulted before the Bill had been laid in Parliament. The GCB member noted that they intended to continue to use the judicial system to have their objections heard. However, the process never got going, allegedly because the Ombudsman never received the co-operation of the GCB. Reportedly frustrated at being unable to perform his duties as the Ombudsman, Dr McGowan resigned last year. Current Minister of Sport, Dr George Norton is yet to name his replacement. The Berbice Cricket Board (BCB), which in February held court supervised elections, quickly filed two actions in court; challenging the legality of Lewis’ appointment and seeking to prevent him from functioning in the capacity of Cricket Ombudsman. The GCB argued that it can appoint the Cricket Ombudsman because the Minister’s appointee has resigned. However, no GCB elections had been held under the Minister-appointed Ombudsman. Yesterday, the courts granted the BCB request for an injunction against the GCB. Of course the standard appeal by the GCB is expected forthwith. Meanwhile, following Berbice’s lead, Demerara is pushing for court supervised elections. The matter is to be heard later this month. In many quarters, it is felt that the last free and fair Guyana Cricket Board elections were held in 2009 with the two-year term of office having expired in 2011. Yesterday was four years since the GCAA was passed in Parliament. The incumbent GCB, with the endorsement of the CWI, a spider web of court injunctions, alleged claims of phantom clubs and boards continues to maintain its control of the local game. A weary follower of the game can only ask, will this imbroglio ever be resolved? Niccolo Machiavelli, author of The Prince, would be proud.